The milestones keep coming for Alex Ovechkin of the Washington Capitals. 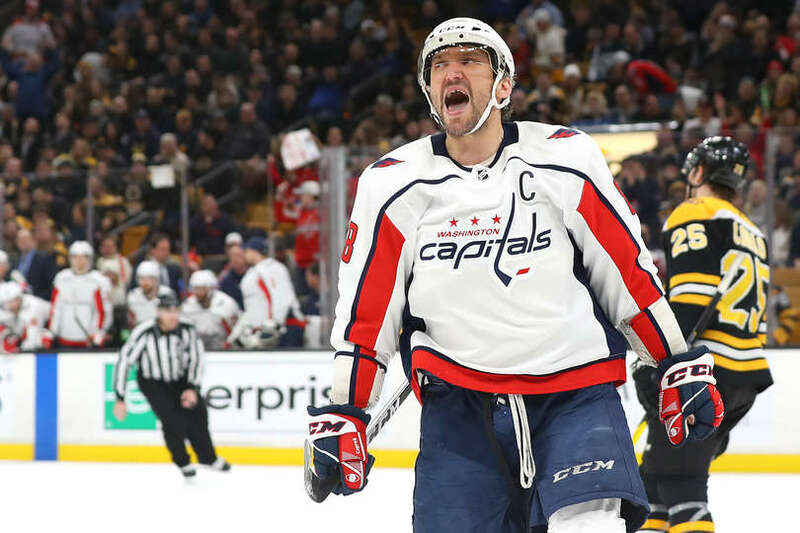 He achieved two more milestones in the Capitals’ 4-2 victory against the Boston Bruins on January 10, 2019. These milestones were: 1) passing Bobby Hull for 50th place in NHL career points; and 2) passing Mike Bossy and Jaromir Jagr for ninth place in NHL career multi-goal games. Ovechkin scored two goals in the game, boosting his career points total to 1,171 in his NHL career. He has now passed Bobby Hull in career points and is in sole possession of 50th place on the NHL’s all-time points list. Ovechkin has scored 639 goals and has amassed 532 assists for a total or 1,171 points. Hull had scored 610 goals and had 560 assists for 1,170 points. The only other active player within the Top 50 in NHL career points is Joe Thornton with 1,447 points (405 goals and 1,042 assists) and is the only other active NHL player to sit within the top 50 of the NHL’s all-time points list. There is one other active NHL player knocking on the door of the Top 50 and that is Sidney Crosby of the Pittsburgh Penguins who has 1,169 points. The next targets to pass for career NHL points are fellow Russian, Sergei Fedorov, who is in 49th place with 1,179 points, and Rod Brind’amour, currently Head Coach of the Carolina Hurricanes, who is 48th with 1,184 points. By scoring two goals, Ovechkin got his 128th career multi-goal game. This moves him past Mike Bossy (127) and Jaromir Jagr (127) for the ninth place on the All Time List in that category. He needs three more multi-goal games to tie Teemu Selanne for eighth place on that list. Ovechkin has increased in NHL leading goal scoring total for this year to 32 goals and is just one goal shy of tying Dave Andreychuk for #14 on the NHL All Time Goal Scoring list. @aleksandrovechkinofficial has cracked the top 50 in ALL-TIME points. How far up the list will he climb?!? This entry was posted in Games, News, Washington Capitals and tagged Alex Ovechkin, Bobby Hull, Boston Bruins, Jaromir Jagr, Joe Thornton, Mike Bossy, Sergei Fedorov, Sidney Crosby. Bookmark the permalink.